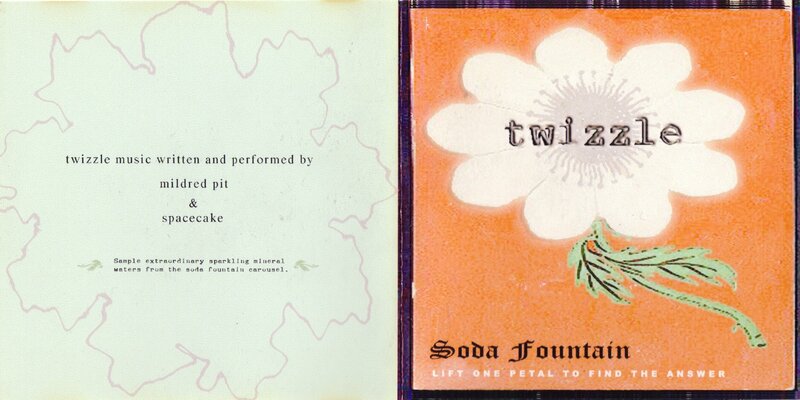 Produced by Mildred Pitt and Spacecake. Artwork by Funland5. In an abandoned seaside town the women of the bordello wander out. Their punch-stained lips whistle whiskeyed melodies. Their limp boas leave a trail of old perfume. A cowboy, hidden in the shadow of his ten-gallon, sips sassafras soda, for which he has traveled a great mile. You make your way from the old hotel set back on the dunes, stopping first for a continental breakfast in the chandeliered ballroom. 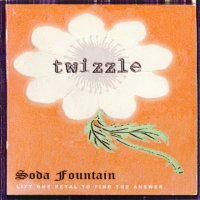 Recorded in 1999 over a period of several months, Twizzle's homemade CD combines theatrical vocals with warm, lush melodies and rhythm.